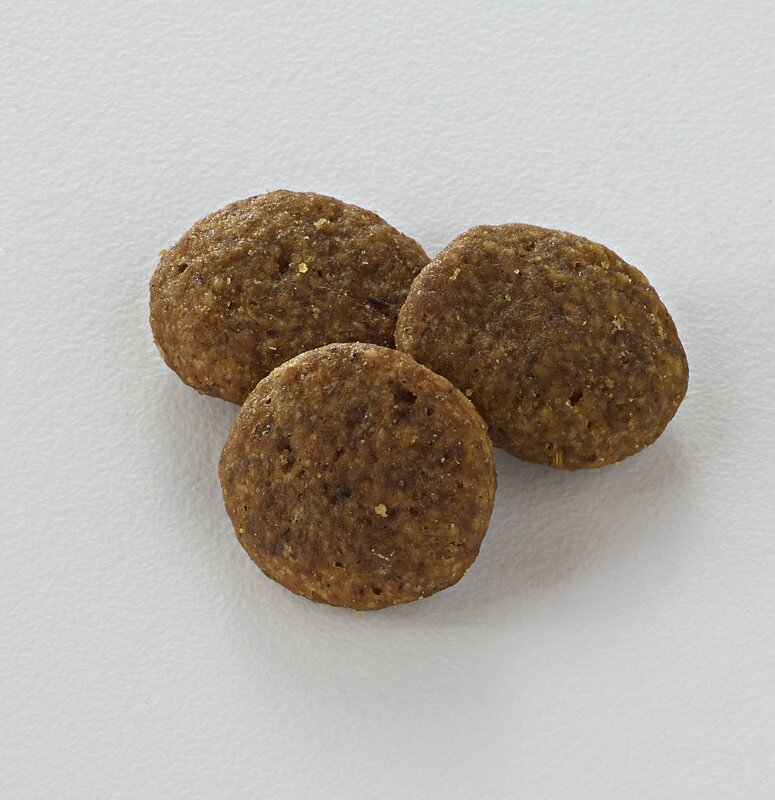 Help your dog eat clean with the Nutro Grain Free Large Breed Farm-Raised Chicken, Lentils And Sweet Potato Dry Dog Food. Crafted especially for large breeds, this clean recipe is full of flavor and health benefits that you can see. 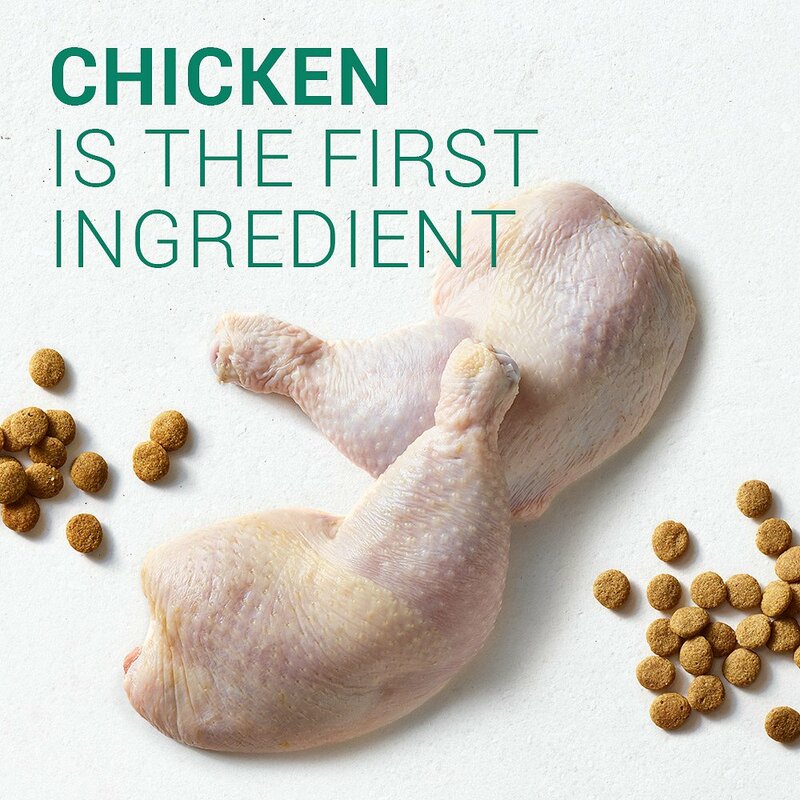 Real chicken is the first ingredient, which not only tastes great, but delivers the amino acids needed to build muscles and maintain your dog’s healthy metabolism. He’ll also benefit from the combination of sunflower oil, zinc, and B vitamins that nourish the skin and keep his coat soft and shiny. 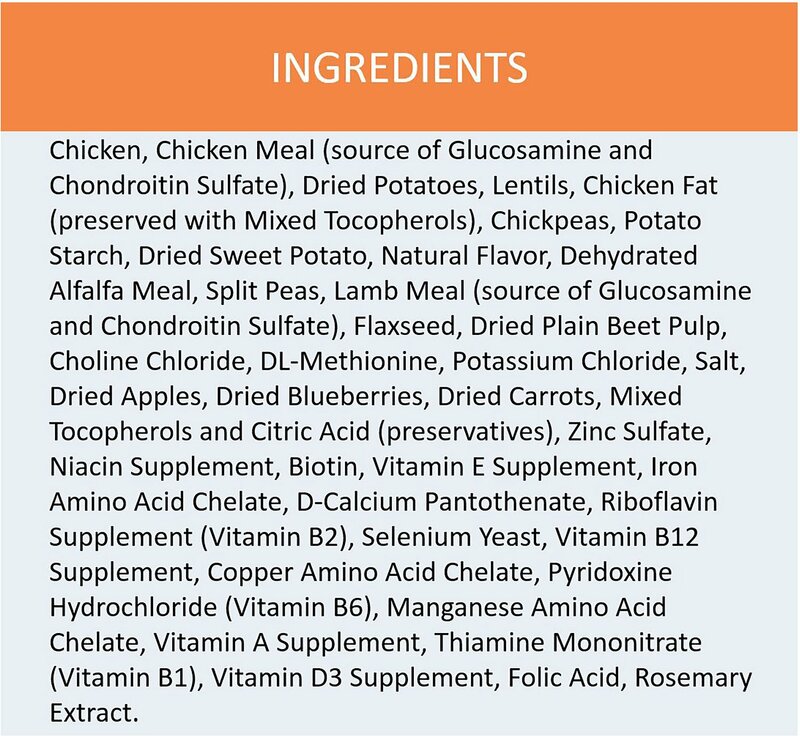 And because it’s made with only the finest natural ingredients, this nutritious recipe doesn’t include corn, wheat, chicken by-product meal, soy protein or artificial colors or flavors. Formulated with optimal levels of omega-6 fatty acid and zinc to promote healthy skin and a shiny coat. 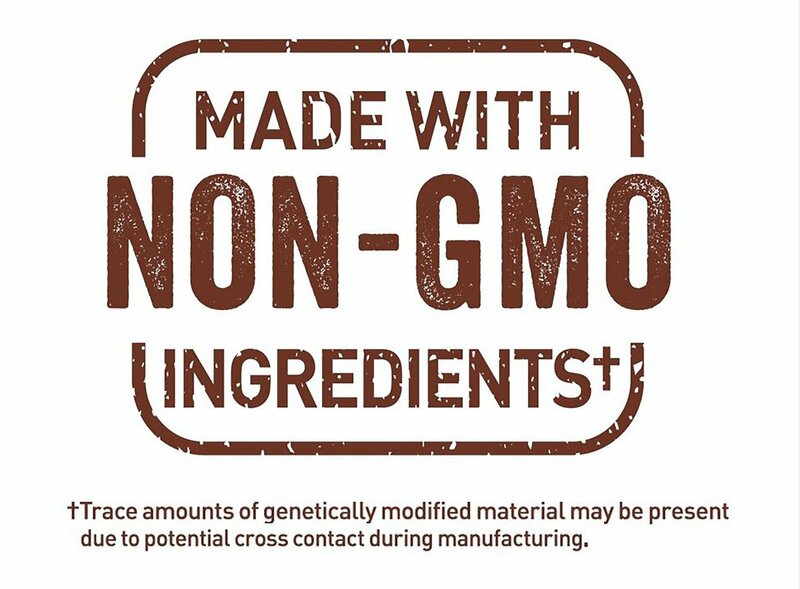 Free of grains, corn gluten meal, wheat, or soy protein to help with food sensitivities and allergies. 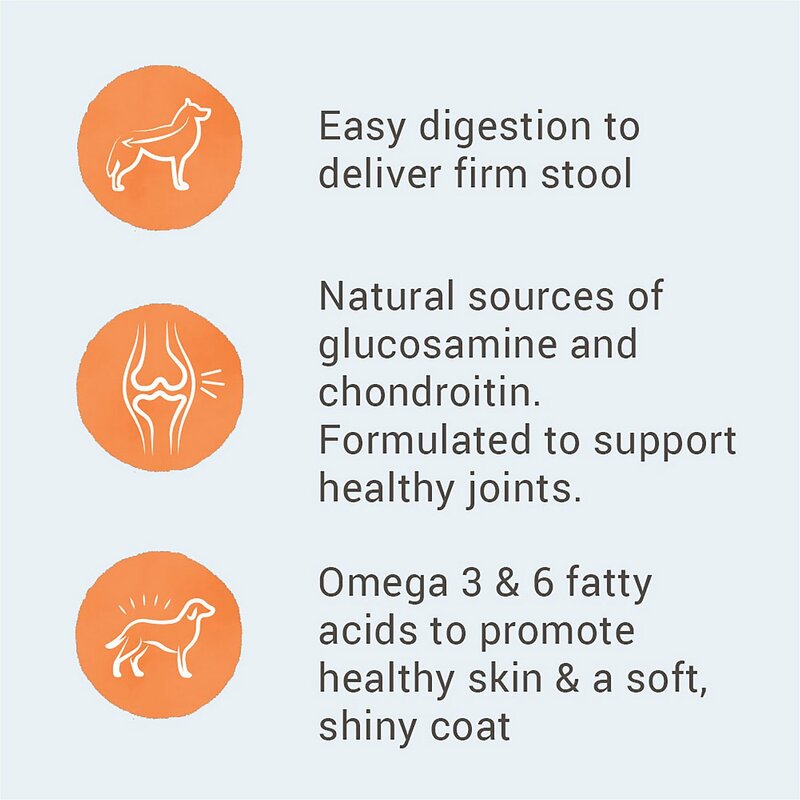 Clean recipe is expertly tailored for large breeds using only natural ingredients. My little shih tzu has a big appetite, and she loves this food! She has a grain allergy so she needs special good, and nutro is one of her favorite brands. I get the large breed food size so she remembers to chew it before swallowing because it tastes that good to her! Our dog used to get diarrhea a lot but with this grain-free product, she does'nt. It´s definitely pricey but we think it's worth it. I have a husky with a finicky appetite and sensitive stomach. She LOVES the large breed free range chicken formula. I’ve noticed a favorable difference with her digestion and stool. And her coat is actually softer to the touch and looks really healthy. She even sheds less. This brand and formula isn’t cheap, but with continued use, it’s so worth it. I highly recommend it! 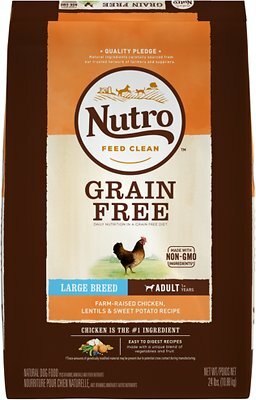 Switched to nutro grain free awhile ago for both dog and cats. It fills them up quicker and longer. I don't go through as much food anymore and all my fat animals lost weight. Sam our boxer he loves it! He can be kinda picky, but he seems to love his Nutro grain free!! As soon as the box arrived from Chewy, our 8 year-old yellow lab, Maxx, couldn't wait for me to open it. He could smell his new food before I even opened the bag and he was excited. I haven't seen him "dig in" to his bowl so fast in years! He is really enjoying this dog food. We were searching for a healthy grain free dog food. 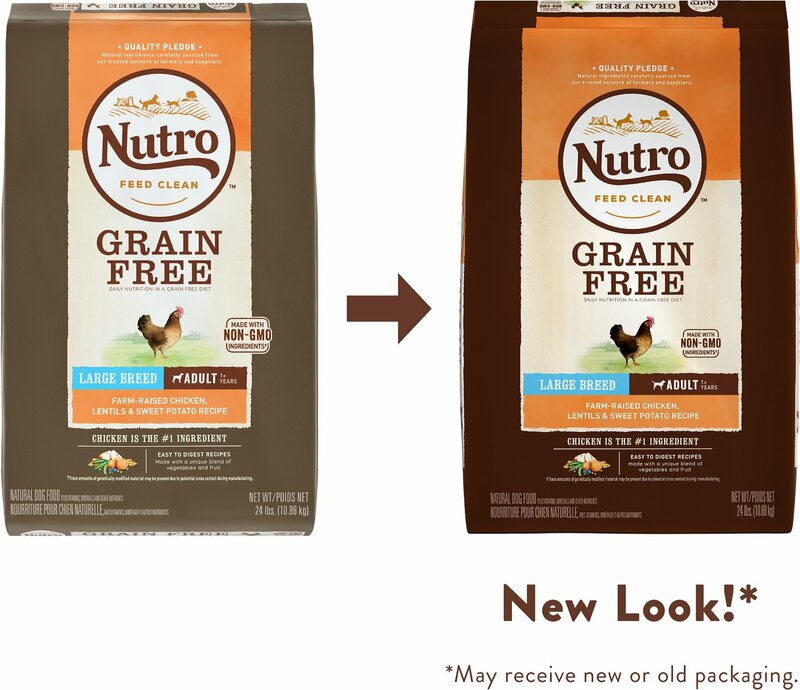 We did a lot of research and Nutro Grain Free was in the top ten brands so we decided to make the switch. My three dogs love it. I would recommend it to anyone that is looking for a healthy food for their pets. Chewy made ordering a breeze and shipping was free. The whole process was fast, easy and very convenient. 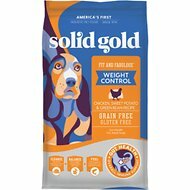 I've tried grain-free foods from several different brands in order to find food that our picky Great Danes will actually eat. I've had good luck with Nutro so far, and currently mix it in with another grain-free food from a different brand. 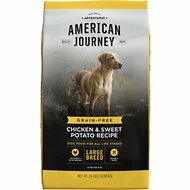 Our dogs eat this so much better than some other well-known brands. Dogs love the food and they do well on it. I love that it comes right to the door.